It seems like everyone in the gardening group is harvesting prickly pear fruit. 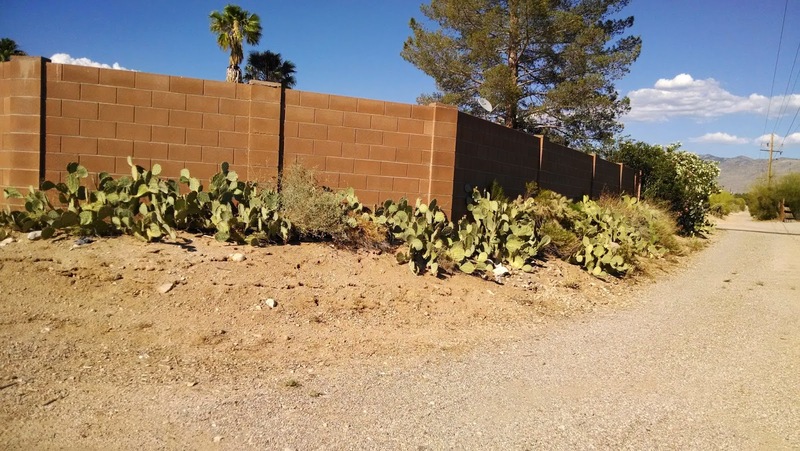 I thought I would have to steal some from the neighbor but when I was taking the trash out to the alley, I realized I had my own prickly pear and the fruit were ripe. Just kidding about the neighbors although they wouldn't notice if I did take theirs because they are falling on to the sidewalk. 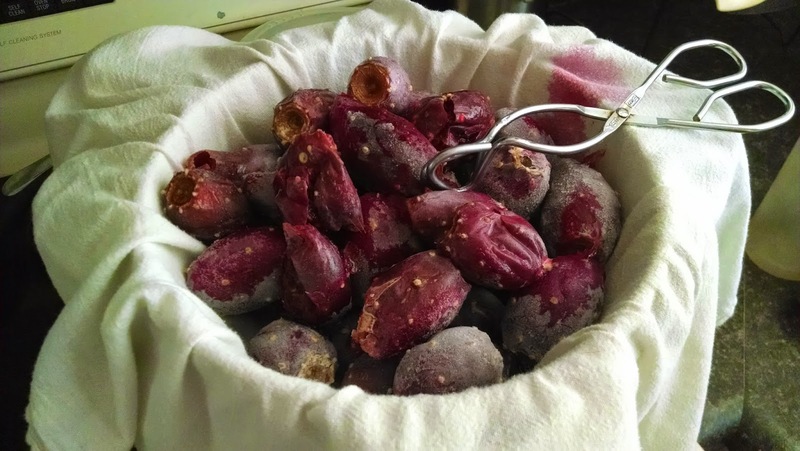 Pick, freeze, strain and I get prickly pear juice with barely any work plus it is fun to squish them as they thaw. I managed not to get any on myself. That's a colander lined with a piece of cloth on top of a metal pot. After all of the fruit was thawed and squished, I was left with prickly pear blood. Pretty color, yes? 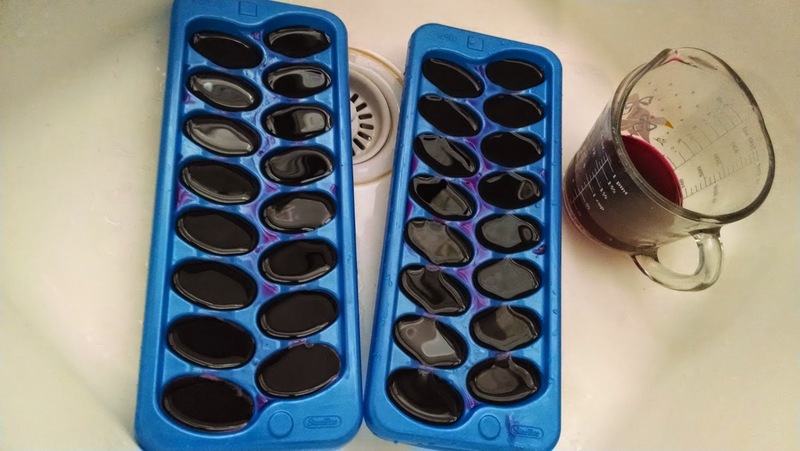 The easiest way to store it is to freeze it in ice cube trays and then put the cubes in a plastic bag. Now, what to do with it. I really need to expand my culinary knowledge. Prickly pear juice can be used to make syrup or jelly or added to drinks, most commonly mixed drinks or lemonade. Someone said the juice tastes like watermelon and bubble gum so that is exactly what I thought of when I tasted it. 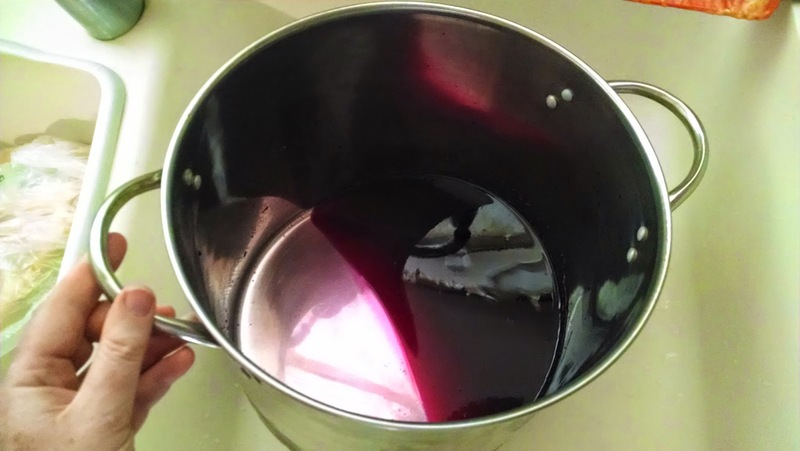 It is supposed to mix well with the tartness of lemonade and that will be the first concoction that I will try. For now, I am thrilled that this experiment was a success. I can now add prickly pear juicer to my resume. My knowledge of the prickly pear is limited to Jungle Book (something about paw paws or prickly pear, you get a raw paw so better beware). Haha, that is the second time I have heard that song quoted so I had to look up the lyrics. I'm not sure if prickly pears grow in the jungle or if it is another name for pawpaw but it is funny either way. I didn't remember that from my childhood. I do remember being really sad that Mowgli follows the girl to the village though. I didn't want him to leave Baloo.